We're Bringing Your Nightmares To Life! NewJerseyHauntedHouses.com recently sat down with Jennifer Condron of BANE Haunted Attraction, to discuss what's new at BANE Haunted Attraction for the 2017 Halloween Season! 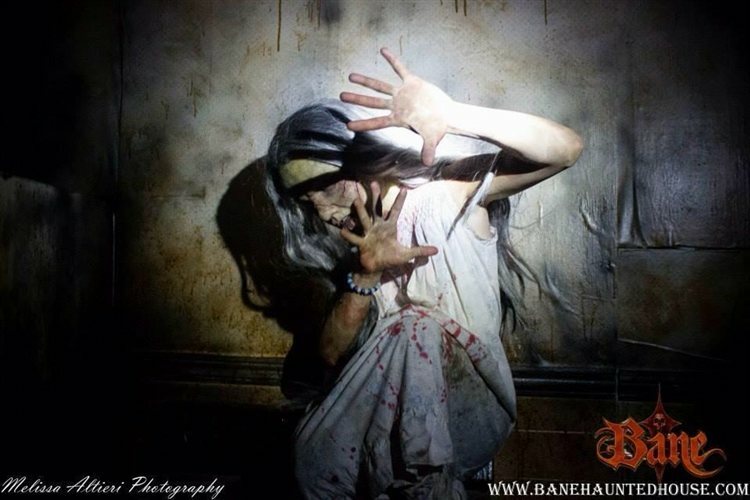 Located in Livingstone, Bane Haunted Attraction gives thrill seekers the terror they've had an appetite for all year long. What's new at BANE Haunted Attraction for 2017? Do you have any new rides, attractions, or special features that Haunt Seekers should know about? Bane Haunted House adds new elements every year. This year we have completely redesigned our entrance and exit and have added another 2000 sq. feet! We are most excited about seeing our customers reactions to our updated attraction. We can't wait! What sets Bane apart from the rest is our uniqueness. We pride ourselves in being extremely interactive and hands on, literally! From making our customers slide, crawl, and spin, we aim to bring our customer's nightmares to life. 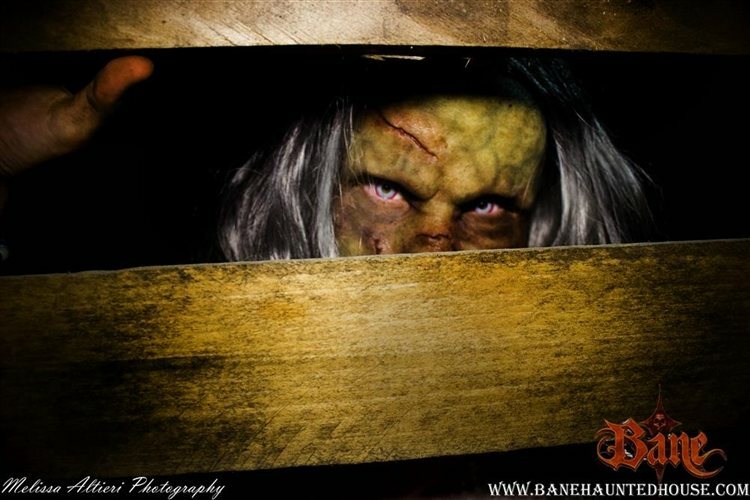 There are plenty of little surprises that you will only see at Bane Haunted House, that we can guarantee! We also do not use any animatronics at ALL, as we only use 100% live actors. That's pretty much unheard of in the haunt industry. A really awesome thing that sets us apart is that we do not allow our customers to go through the house in a conga line, we only allow 2-3 customers in at a time and there are no exceptions to that rule! Another aspect that sets us apart from the rest is that all of our scenes are made with real organic materials. We try to implement real situations into our attraction such as real trees, real ponds etc. Our goal is to fully immerse our customers into the environments we have created. Lastly, if not the most important aspect that sets us apart from the rest is our love and care for our Military. On any night, doesn't matter how busy we are, we offer free tickets to our attraction to anyone with a valid military ID. That's right, a free ticket to anyone who has served or is currently serving in the military! We have been doing this since our inception 7 years ago and we will continue to do so. Try to find another haunt offering the same and you'll be searching forever! Bane Haunted Attraction has been in business for 7 years and what a ride it has been. We first started out in a 4,000 sq. ft tent in a parking lot. We quickly grew to a 17,000 sq. ft facility which we also grew out of in only 2 years. Now we are in a stand alone 40,000 sq ft building, with room to grow! Our growth is unprecedented in this industry and we are so proud of how far we've come! We also are no longer a seasonal attraction as we have our always sold out zombie apocalypse events and our brand new Escape Rooms! My favorite experience is seeing out Quitter count climb throughout the season. I'm pretty sure we have the highest quit rate in the country. Yep that's right, people pay for a ticket and then decide not to even enter Bane! Not to mention all of the customers that quit once inside. I guess we're just too scary! Last year our quitter count rose to 2,000 customers. We aim to beat that number this year! This is a tricky question because it's really hard to answer. As with any haunted attraction, customers can either walk slowly through our haunt or sprint through. Typically we say our walk through is about 20-25 minutes. Well well well, this is where it gets creepy. So our building was vacant for years before we moved in and we swear that something lives within the halls. During our build season, we usually work at night so we can test our lighting, I can't tell you how many times we have had props knocked off our walls, lights have been turned off, tools have been moved and security cameras have been knocked offline. Last year during one of our Zombie Apocalypse events, our security team kept hearing someone crying on our walkie talkies, it was so spooky. What inspired me to open up a haunted attraction was the lack of really scary haunts in NJ. My favorite part of the business is seeing the customers reactions! They are the best! New technology has not helped to enhance Bane at all really. We believe in old school haunting, with real actors and really organic scenes. We do not use animatronics at all. We believe the best scare comes from an actor, not an animated prop. The only tech we use would be in our lighting and sound, besides that everything else is strictly organic. Bane can accommodate all sorts of group sizes however, we are different than most haunts. We only allow 2-3 people in at a time, there are no exceptions to this rule. That means there are no conga lines inside ever and each and every customer can have a personal experience. Yes! We are the king of deals. We have Groupon deals running throughout the season, we offer group discounts, college night discounts and we have a $2 off coupon right on our website. However, the most important discount is our a military discount. Anyone with a valid military ID gets in for free any night! Bane Haunted Attraction is unlike the rest. We are immersive, interactive and actually scary all while being safe! Bane brings your nightmares to life!